Yes, I won NaNoWriMo this year! It’s been over two weeks since the climatic moment and this blogpost is the first piece of writing I’ve done since. I’ve needed that break as I’ve been writing like a crazy person (perhaps that’s just what writers do?). Actually, that’s a lie. I would have blogged sooner, but my father has had surgery on his back and so I’ve been staying with my parents for almost two weeks. The delay has been a good thing, actually, as it’s given me a chance to think about the whole month, my progress, writing habits and what drives me. I’ll be honest, I never believed that I could write 50,000 in 30 consecutive days, but it’s my third year of trying and you know what they say about being third time lucky! It was only in the last ten or so days that I thought “wow, I might actually do this!” NaNoWriMo has been special this year because not only did I win, but I have learnt so much about myself and how I write. One of the most important of these was finally discovering a writing routine that suits me – it appears that having all the time in the world does not mean I am more productive, rather my productivity increases when I am on a busier, tighter schedule. Last year, when I was working, I seemed to find it easier to squeeze in time for writing wherever I was, I wrote much faster and my brain was more on-call. This year, being out of work, has proved harder. My brain was less engaged and procrastination was a greater temptation. But I persevered. It also appears that, after consuming plenty of tea and sugary stuffs, I realised I am actually a morning person and I write much better first thing in the morning than last thing at night. It really does feel awesome to have already written 1500 words by 9am and have the rest of the day to either write more or to get on with other things. Another discovery I made during November was that of #NaNoWordSprints – a collective effort of WriMos across the world on Twitter to type as many words as possible during a given time period, ranging from 10 minutes up to 30. I first thought this a ridiculous idea – how could one even think that fast, let alone type that fast? But after struggling all day and only managing about 800 words at the end of each day, I decided to try a word sprint. What a revelation. After some practise, I was writing up to 500 words in just ten minutes. It’s amazing how much more freely you can think and write when you let yourself go (that sounded horribly like a line from Disney’s Frozen!) and are not constantly trying to control the structure of the sentence, the spelling, the grammar. This brain spill was truly liberating. We called it Word Warring on the Facebook page I joined for Muslim WriMos. Writing can be a lonely experience and the team spirit of fellow writers can be really invigorating. That’s probably why NaNoWriMo works so well – with 175,000 people writing across the world and encouraging each other to keep writing, how could you be anything but motivated? I really do believe that I wouldn’t have won NaNoWriMo had it not been for the support and encouragement from all the awesome ladies in the Facebook group. We used the group as a platform for posting about our highs and our lows, we posted our daily word counts, we moaned, we encouraged, our favourite line was “just write”. And at the end we all celebrated, whether we reached 50,000 or not, because we had all progressed and we had all achieved something. It’s been truly wonderful. Technically I have finished my novel – as well as reaching 50,000 words, my novel has a beginning, middle and end. However, there a couple of sub plots that I still need to work into it. What happens next? Well, I don’t think I’ll be visiting my novel again until the new year – I need a proper rest before I can go back and face the traumatising consequences of ignoring every rule of spelling and grammar in the book. It’s going to need a lot of work. But as Ernest Hemmingway has said, the first draft of anything is sh*t – so I don’t feel too bad! The WriMo Facebook ladies agreed that to get together in a few months to edit our novels, so I guess I have my first New Year’s resolution – I really do hope to at least have a second draft at the end of next year, so watch this space. I don’t know if I’ll ever win NaNoWriMo again, right now I’m so proud of myself I don’t think I care if I don’t. But winning has certainly made me look forward to November every year from now on. 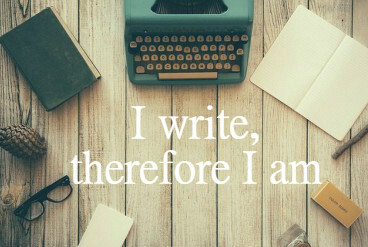 Bring on NaNoWriMo 2015!